Are you looking for an amazing chicken sandwich; something that is a little out of the ordinary chicken sandwich? 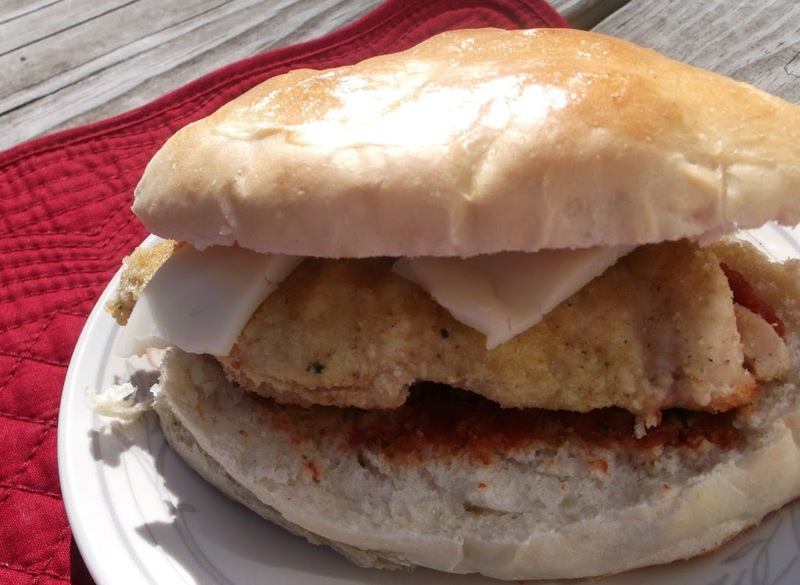 I was looking for that sandwich when I found this Parmesan chicken sandwich; something just a little different not just your ordinary sandwich. I found this sandwich when I did the Crazy Cooking challenge back in July. The sandwich was posted by Kim from Little Mommy, Big Appetite. The minute I saw this sandwich I knew that I would be making it and I pinned it right away. I have mentioned in some of my past posts that I was making a special meal for my daughter Krista before she moved to Chicago; I knew that she would love this sandwich so I saved it for that special occasion. The chicken for these sandwiches turned out perfect. The seasoning to the crispiness of the chicken breast is so good. My family enjoyed them so much that I have made this chicken another time already. So if you are looking for an amazing sandwich that is not just your everyday ordinary sandwich I hope that you will try this one. And if you are looking for some amazing recipes check out Kim’s blog Little Mommy Big Appetite. For my sandwiches I baked some buns. These buns were equally amazing as the chicken; I will be posting the recipe for those on my next post. Learned a lesson, don’t read your blog when I’m hungry. This sandwich is making my mouth water, will try it for sure. Joined your blog as a follower and “liked” you on FB. It’s nice to be inspired to prepare chicken files in s new way! 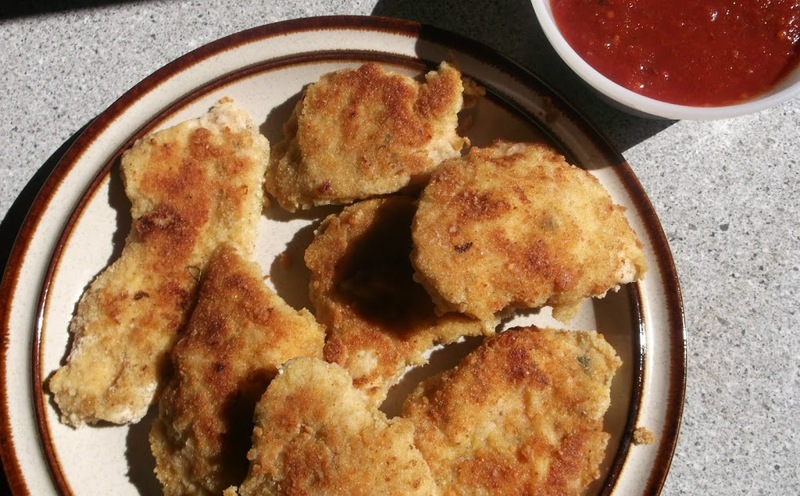 These chicken breasts look very ‘cool’ and crispy, so I’m sure my sons will appreciate these! How absolutely delish! I love that you went the extra mile to make your own buns! Sounds good! Got a question, though, what kind of sauce did you use, & how much? Was it spaghetti sauce, marinara, crushed tomatoes? Just wondering! Thanks!! We used spaghetti sauce, but you can use marinara or whatever kind of sauce you like. As for how much, I let each person put their own sauce on. Boy, this is a terrific sounding sandwich! I love the combo of Parmesan and chicken. Looking forward to reading the bun recipe. 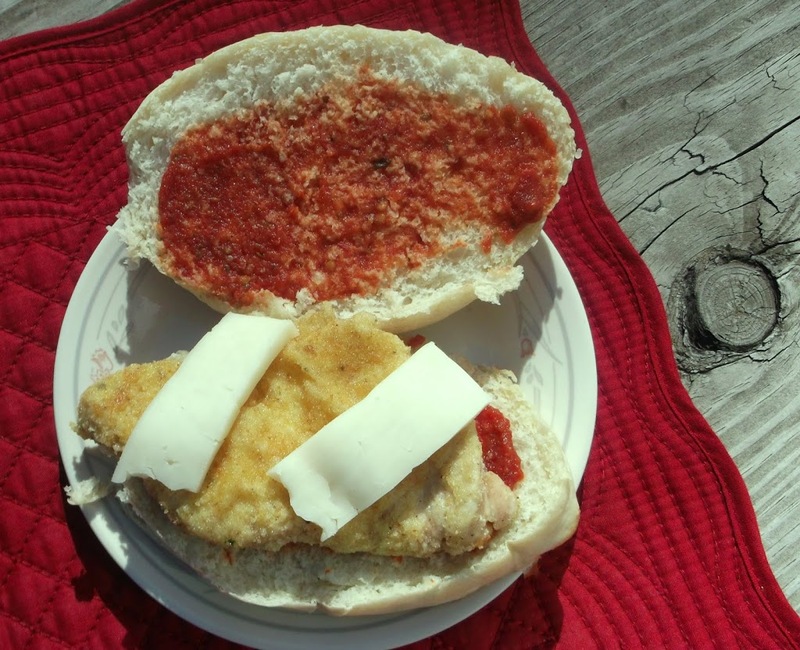 Love chicken parm sandwiches! Looks great!